We would like to take the time to thank the men and women that serve and protect our great country every single day. This weekend is a time to remember all of those that have sacrificed for our freedom! Keep in mind, we always honor a military discount upon request for new orders. 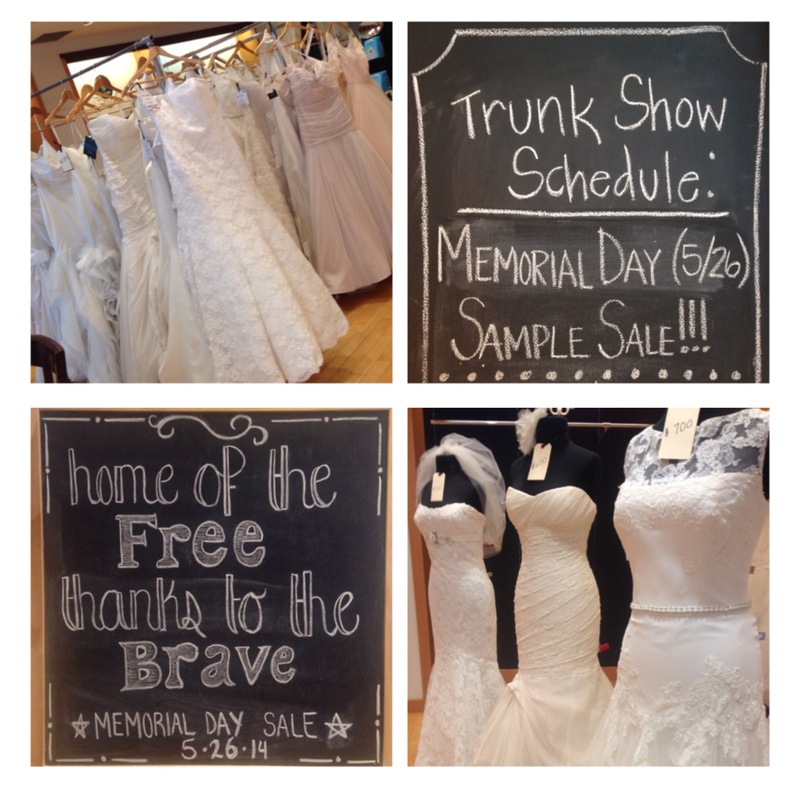 Memorial Day this year will be celebrated in our store with a Sample Sale at our downtown Denver location! We have around three dozen dresses at extremely discounted prices (50-90% off)!!!! The sale will feature dresses from designers such as Hayley Paige, Tara Keely, La Sposa, and Casablanca!!! This is an amazing opportunity to save your dream designer gown! We will not be reserving appointments for this event so get there early to make sure you don’t miss out on snagging your favorite dress before it’s gone! We will open promptly at 10:00am! See you then!